To thrive today, businesses must act on opportunities, solve problems, and respond to the needs of customers, partners, and employees more quickly than ever before. Increasingly, applications are the vehicles through which these critical needs are addressed, and in this digital economy the key to increasing business agility is no secret: enterprises must deliver applications faster. But how is it done? 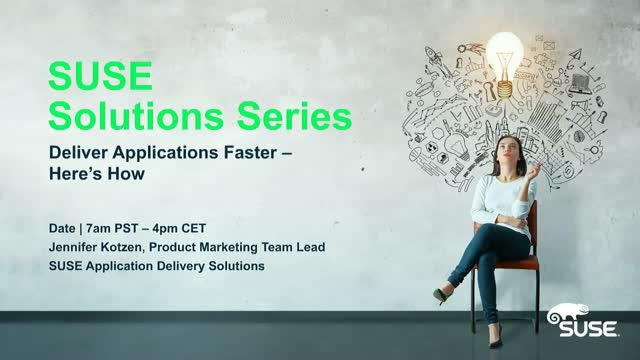 Join us in this webinar for an executive level overview of the path your business can take to reduce application delivery cycle times and increase business agility. We’ll discuss emerging container technologies, cloud-native application architectures, DevOps processes, and ways you can use them together to effect the change you need. Application delivery transformation is as exciting as it is important – start your journey with us now!